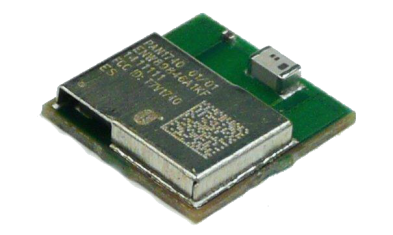 Bluetooth Low-Energy (BLE) is definitely one of the most popular technologies for new electronic hardware products. There are good reasons. BLE is an extremely low power wireless technology that can be powered from a tiny battery for potentially years. Even better, it’s also relatively simple to implement and very affordable. There are two ways to incorporate wireless functionality, such as BLE, into a new product: either use a module or use a System-on-a-Chip (SoC) solution. For the majority of products I highly suggest that you begin with a module that includes a built-in antenna (all of the modules in this article include an antenna). This is primarily due to the fact that a module will save you thousands of dollars in FCC certification fees and simplify development. NOTE: This is a very detailed article so here's a free PDF version and an Excel spreadsheet comparing the various BLE solutions. Later, once you reach higher manufacturing volumes you can migrate from a module solution to a chip solution so as to lower your product’s manufacturing cost and increase your profit margins. Although, there are a couple of BLE modules that are priced so low that it might not ever make financial sense to switch to a custom SoC based solution. A Bluetooth SoC is basically just a microcontroller with an embedded Bluetooth radio. For many products this chip can also serve as the master microcontroller for your product. However, for more complex products a faster microcontroller may be used as your master controller, while the Bluetooth SoC acts as a peripheral device that interfaces with your primary microcontroller. Although not absolutely essential, I highly recommend that you use a Bluetooth module that uses the same SoC that you may eventually use at higher manufacturing volumes. Doing so will make the transition a bit easier with less code rewrite required. Perhaps somewhat surprisingly, many Bluetooth chip manufacturers don’t offer modules based on their chips. So in those cases the module manufacturer will be different than the chip manufacturer. One disadvantage of BLE for some applications versus some other wireless protocols such as ZigBee, is that BLE doesn’t officially offer mesh networking. Fortunately, there are a few BLE solutions that do offer this powerful feature (including solutions from Nordic and Qualcomm). Bluetooth Low Energy normally allows only two devices to be active simultaneously within a 10 meter (33 feet) operating range. But with mesh networking you can control nearly an unlimited number of devices all from a single device. Mesh networking also greatly expands the network’s coverage area. For example, if device A must communicate with device C it can normally only do it via a direct connection. Both devices must have sufficient transmission power to reach the full distance between them. Mesh networks, on the other hand, offer a decentralized network of devices that allows each device to effectively expand the coverage range by relaying messages to other devices. Mesh networks allow a device to communicate with any and all devices nearby because each device can relay a message to any other device. So instead of communicating directly from device A to device C, mesh networking allows you to use an intermediate device B to relay the message. This allows both increased coverage range and reduced power consumption. Mesh networking also allows you to control a huge number of devices simultaneously since any device you communicate with can relay messages to any other devices. Nordic Semiconductor is a leading manufacturer of Bluetooth SoC solutions. Both their nRF51822 and nRF52832 chips are quite popular. One primary difference between the nRF51822 and nRF52832 is the core microcontroller. The nRF51822 uses a 32-bit ARM Cortex-M0 microcontroller running at 16 MHz. Whereas the nRF52832 uses a much faster, more advanced 32-bit ARM Cortex-M4F microcontroller running at 64 MHz. In fact, the nRF52832 has the fastest microcontroller of any of the purely BLE solutions reviewed. It even includes a floating point unit (FPU) which is what the ‘F’ in Cortex-M4F signifies. The only solution with a faster processor is the Espressif ESP32, but that is really a different beast that consumes about 16 times more current than the nRF52832. So if your product needs a really high performance microcontroller, but yet power consumption must be kept small, then the nRF52832 is likely your best choice. Also, the nRF52832 is Bluetooth 5 ready, whereas all of the other solutions only support the Bluetooth 4 specification. The nRF52832 includes considerably more memory (FLASH and RAM), and even consumes less power than the nRF51822. The only advantage to the nRF51822 is the lower price. However, the price difference is pretty minimal so I generally recommend the nRF52832. As I mentioned previously, many Bluetooth SoC manufacturers don’t offer modules based on their chips. This is true with Nordic Semiconductor. But fortunately there are many companies, including Rigado and Fanstel, that offer BLE modules based on Nordic chips. The Rigado BMD-200 is based on the Nordic nRF51822, and the Rigado BMD-300 is based on the more powerful nRF52832. 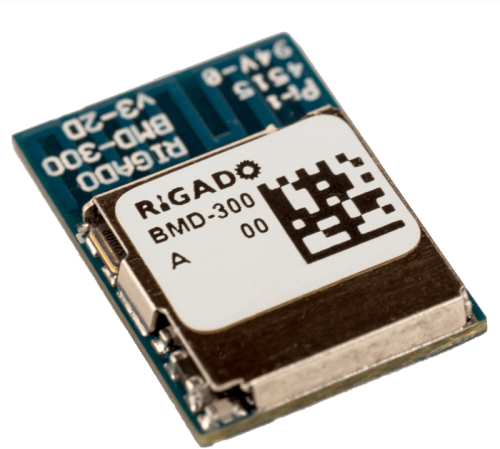 Rigado also offers the BMD-350 which is an ultra-compact variant of the BMD-300 that measures only 6.4mm x 8.65mm x 1.5mm. Fanstel offers a wide selection of BLE modules at almost half the cost of most other modules. In fact, Fanstel’s BLE modules are the lowest cost BLE modules I’ve seen available (except for the Espressif ESP32 module which I discuss later). For example, the Rigado BMD-300 sells for $7.09 in quantities of 1k pieces, whereas the Fanstel BT832 sells for only $4.73. Fanstel just recently released the BT832A which is based on the Nordic nRF52810 chip (a lower memory version of the nRF52822). The BT832A costs only $3.63 for quantities of 1k units. Fanstel also offers various other longer range BLE modules based on the Nordic nRF52832. This includes the BT832X which has an operating range of 1,170 meters. The BT832X sells for $9.98 at volumes of 1k pieces. 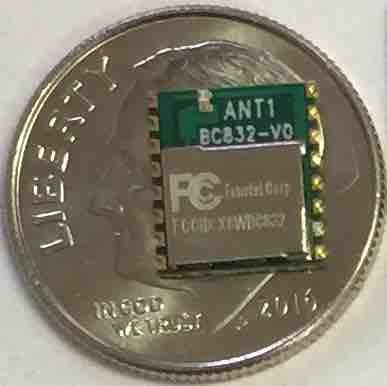 The BC832 is their smallest module measuring only 7.8mm x 8.8mm x 1.3mm and it sells for $6.08 @ 1k pcs. The lowest cost and lowest power Fanstel module is the BH678C which is based on the Toshiba TC3567C SoC (I don’t cover the Toshiba SoC in this article, yet). The BH678C has peak current consumption of 3.3 mA and costs only $3.30 each. Finally, the smallest BLE module available (with an antenna) is the Taiyo Yuden EYSHSNZWZ module which measures only 3.25mm x 8.55mm x 0.9mm. It is also based on the Nordic nRF52832 SoC. The PSoC 4 BLE chip solution from Cypress is based on an ARM Cortex-M0 microcontroller running at 48 MHz. It incorporates up to 256 KB of FLASH memory and 32 KB of RAM memory. It consumes 18.7 mA of current while receiving data, putting this solution on the higher end of power consumption for the BLE modules reviewed. The Cypress chips incorporates all of the standard microcontrollers functions including UART, I2C, SPI, I2S, timers, an ADC, and two DACs. The Cypress PSoC 4 also provides up to 36 programmable GPIO pins, and it even includes 4 operational amplifiers to use for analog functions. Cypress is one of the manufacturers that makes both BLE chip solutions and module solutions based on their chips. Cypress offers the EZ-BLE module which is one of the lower cost BLE modules available. The EZ-BLE module sells for $4.59 @ volumes of 5k units. Cypress BLE modules are available as small as only 11 mm x 11 mm x 1.8mm, making it the third small module reviewed. Since I was a design engineer for Texas Instruments for over 10 years it’s no secret that I really like TI products. Texas Instruments not only offers great products but they also provide some of the best technical support for startups. The Texas Instruments CC2650 not only provides BLE functionality but also supports ZigBee and 6LoWPAN wireless protocols. The TI CC2650 is based on an ARM Cortex-M3 architecture microcontroller which is a faster, more advanced microcontroller than the Cortex-M0 architecture used in most of the other BLE chips. Texas Instruments also offers an incredibly popular Internet of Things (IoT) development kit based on the CC2650 that I’ve written about before called the SensorTag. Texas Instruments is one the manufacturers that offers a module based on their BLE SoC solution. The CC2650MODA module measures 16.9mm x 1mm, and costs $6.09 in quantities of 1k units. Dialog Semiconductor isn’t as well known as the other chip manufacturers I’ve discussed so far. However, they offer one of the lowest cost and lowest power consumption BLE chips available. The DA1458x is based on a 32-bit ARM Cortex-M0 running at 16 MHz. It comes in two variants. The DA14583 includes 128 KB of FLASH memory, whereas the lower cost DA14580 instead includes 32 KB of One-Time-Programmable (OTP) memory. In most cases, I recommend the DA14583 with its rewritable FLASH memory for development, and then the lower cost DA14580 with OTP for production. This strategy assumes that your firmware program is less than 32 KB. The Dialog BLE chip consumes about 25% less power than the Nordic nRF52832, and less than half of the power of the nRF51822. The only BLE chip that consumes less power is the Atmel chip which I discuss shortly. Dialog unfortunately doesn’t manufacture any modules that use their BLE chips. The Panasonic PAN1740 is however a module that is available which is based on the Dialog DA1458x BLE SoC. The PAN1740 module sells for $9.57 at quantities of 500 units. 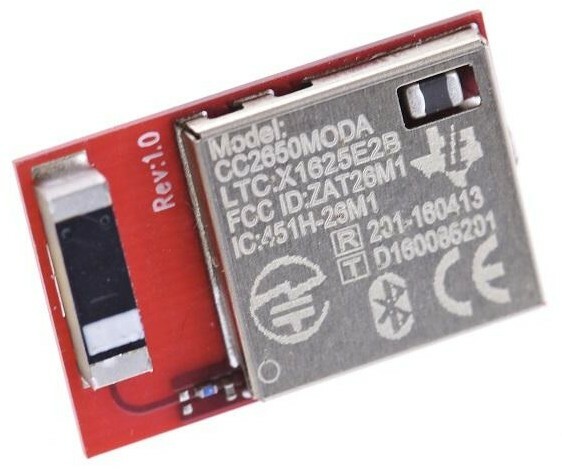 Measuring only 9mm x 9.5mm x 1.8mm it’s the second smallest BLE module reviewed. Qualcomm is not generally considered a good supplier for startups. This is because they typically only supply to larger companies. As a measly startup you will get no love from Qualcomm which means no support and sometimes no parts either. Qualcomm (formerly CSR) does however offer a very low cost, popular BLE chip called the CSR101x. It’s based on a proprietary microcontroller running at only 16 MHz and incorporates 128 KB of FLASH memory and 64 KB of RAM memory. The CSR101x consumes around 20 mA when receiving or transmitting data making it one of the most power hungry BLE chips in this review. The CSR101x BLE chip was the first solution to offer BLE mesh networking making it a very popular choice for any applications requiring mesh networking capabilities. 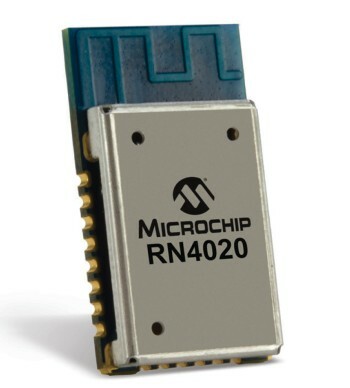 Microchip Semiconductor makes a very popular BLE module called the RN4020 which is based on the CSR101x SoC from Qualcomm. The RN4020 is a mid-priced BLE module that has been on the market for quite a while. If low power consumption is critical for your product then Atmel’s BLE chip solution may be your best choice. The Atmel BTLC1000 has the lowest power consumption specifications of any BLE solution I’ve seen. It consumes only 3.0mA during a transmit and 4.0 mA when receiving data which is considerably lower than the other chips. Like many of the other BLE solutions discussed the BTLC1000 is based on an ARM Cortex-M0 microcontroller which runs at 26 MHz. One disadvantage to the Atmel chip is that it doesn’t incorporate any FLASH memory, so a separate FLASH memory chip is required which interfaces to the microcontroller via an SPI interface. Atmel offers their own module based on the BTLC1000 BLE SoC which is called the ATBTLC1000. The Atmel module measures 12.7mm x 20 mm. This is one of the more expensive BLE modules costing $9.75 for quantities of 1k units. But, if ultra-low power consumption is critical for your product then it may be your best choice. The ESP32 SoC from Chinese manufacturer Espressif is much more than a Bluetooth Low-Energy chip. It also includes Bluetooth Classic and WiFi radios, along with a fast microcontroller that blurs the line between a microprocessor and a microcontroller. That being said, the main reason I include this module in a roundup article on BLE solutions is the incredibly low price. In fact, even though the ESP32 includes WiFi, Bluetooth Classic, Bluetooth Low-Energy, and a 240 MHz microcontroller, it’s still cheaper than any of the other modules discussed here. The ESP32 is based on an incredibly fast dual core Tensilica LX6 microcontroller. It actually has two separate processor cores that can be controlled individually. The clock frequency is adjustable from 80 MHz to 240 MHz. So if you don’t need the speed, and instead need to minimize power consumption, you can run it at the lower 80 MHz clock speed. You can even power down the processor, and instead use the lower power co-processor to monitor various peripherals for activity. The ESP32 includes a whopping 16 MB of FLASH memory, and 520 KB of RAM memory. All of the other BLE modules discussed include only 32 to 512 KB of FLASH, and 8 to 128 KB of RAM. The other modules use microcontrollers running at only 16 to 64 MHz. All of the usual interface ports such as GPIO, UART, SPI, and I2C are included with the ESP32. But it also incorporates I2S for serial audio, and includes both ADC and DACs. Espressif has really packed the ESP32 full of features. So what’s the downside you ask? There has to be a tradeoff for all of this extra power and features. The tradeoff is the power consumption which is around 100mA when using the BLE radio. This is over 10 times the current consumed by the other BLE chips. The Espressif module, which is based on their ESP32 SoC, costs only $3.59 in quantities of 1k units. When it comes to the biggest bang for your buck the ESP-WROOM-32 module is really unbeatable. The module dimensions are 25.5 x 18 mm so it’s a little larger than the other BLE modules. The only other BLE module that comes close in price is the Fanstel BT832A module (based on the Nordic nRF52810), but that solution isn’t yet available. The BT832A also doesn’t compare in performance to the ESP-WROOM-32, although the power consumption for the Espressif module is about 15 times higher than the BT832A. So which solution is best? Well, it really depends on your application. In general, if low power consumption is the most critical specification for your product then I would generally suggest an Atmel, Dialog or Nordic based solution. If processor performance and power consumption are both critical then I would recommend a Nordic nRF52832 solution. Is minimizing cost your top priority? If so, then I suggest the Fanstel BT832A or the Fanstel BH678C, or if you can tolerate the high power consumption an Espressif ESP32 solution. Do you have very little space to fit the module? Then I recommend the Taiyo Yuden EYSHSNZWZ, Fanstel BC832 or Rigado BMD-350. The Panasonic PAN1740 and Cypress EZ-BLE modules are also quite small. If mesh networking is required then I would recommend one of the Nordic BLE chip solutions, especially the nRF52832. Qualcomm’s CSR101x chip also supports mesh networking, but I don’t really recommend it because of the lack of support. Finally, if you’re looking for an ultra-fast, high-performance processor then nothing compares to the Espressif ESP32 solution. There are probably a hundred or more different BLE solutions available, so by no means have I covered them all in this article. I’ve mainly tried to focus on the ones I have personal experience using or that push the limits of performance. That being said, I will continue to expand this article to include even more solutions. Okay, I realize I’ve covered a lot of technical details in this article so be sure to download this spreadsheet comparing all of these BLE solutions (and you’ll also get a convenient PDF version of this article). Hi John, is the spreadsheet still available? The download link doesn’t work for me. Yes it is still available. I just tested it and everything is working fine for me. Can you perhaps check your spam folder of if using Gmail check the promotions folder? If you can’t find it please email me directly at info@nullpredictabledesigns.com and I’ll be glad to resend it to you. PSoC has more microcontroller features. You must compare Cypress Wiced products like CYW20719, CYW20735, CYW20819 for better comparison. The solutions from Cypress are relatively very good. Thanks Ranjith! I’ve kind of gotten away from Cypress modules, and tend to use Nordic based solutions lately. Thanks for your article. I think about some question. If I already have the main MCU in my design is it a good idea to use BLE-module via HCI or try to move all communication code to BLE-module? Great question! The answer is it depends. If your product is has a low retail price and/or low profit margin then you likely won’t want an extra unnecessary microcontroller. In that case I would run your code onto the module itself as long as the module’s MCU can support all of the other requirements for your product. If you have higher margins, or a system too complex for the module’s MCU, or if you have developed substantial code already for a specific MCU, then a separate MCU can make more sense. Great article – I have vast experience with TI and Nordic and and think Nordic is one of the leading companies in BLE solutions. Their chips are really great in most area but also the development tools and support is supper. Thanks so much for your comment and sharing your experience with BLE solutions. I’m not sure about the issue with the spreadsheet. I just tried it and it worked fine for me. When you click the link in the yellow box you should see a pop-up window open up asking for your email address. You will then receive the link to download the spreadsheet via email. Email me at info@nullpredictabledesigns.com if you are still having issues and I’ll be happy to help. Good article, but there’s a mistake in the ESP32 section: it doesn’t have integrated flash memory. 16 MB is the maximum for the SPI memory that you have to add. 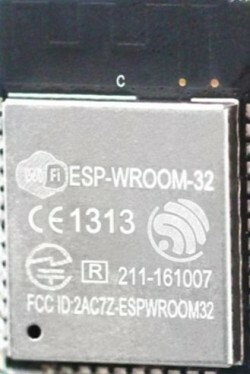 The ESP-WROOM-32 has 4 MB. There also exists the ESP-WROVER-32, with 4 MB extra SPI SRAM. If you want to know more about the energy consumption of the different BLE devices, you may want to have a look at the following documents with detailed measurements. Thanks for the comment Jacek. Yeah there were too many to compare so I had to limit it somewhat, mostly to the chips I have personally used. Most of the chip and module makers offer many options so I had to limit them otherwise the article would become too overwhelming. That being said I’ll continue to expand the article over time with some of the other options. As for comparing them by various parameters that is something I did in the Excel spreadsheet that goes with the article that you can download. Nice informative article, but I think one of the key factors in choosing a part should be ease of use, from a firmware point of view. This seems to be very difficult to find information on without going into a detailed study of each one. Are you able to shed any light on this for the different solutions?